Virgin America plans to expand its schedule out of Dallas Love Field on April 29, 2015 to operate one additional daily round-trip per destination to Washington Reagan National Airport, San Francisco International Airport and Los Angeles International Airport. 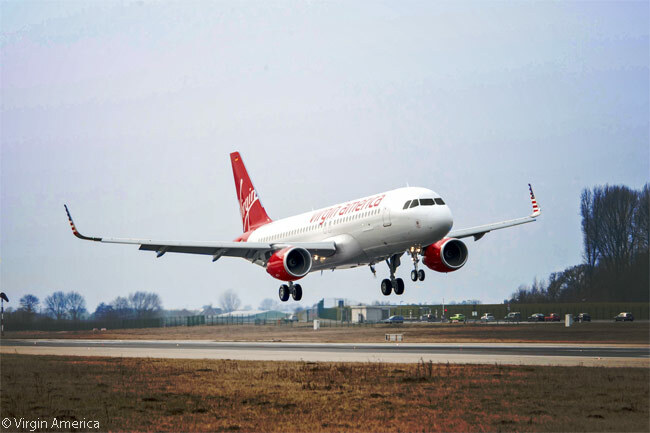 This means that, as of April 29, Virgin America will operate four round-trips each day from Dallas Love Field to each of the three destinations. The carrier has also announced that, as part of its core schedule, it will extend operation of the second daily round-trip between San Francisco International Airport (IATA code SFO) and Austin Bergstrom International Airport (AUS) that it started in July. 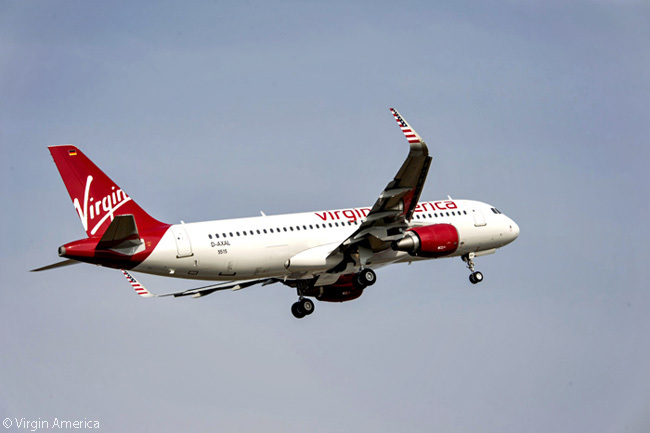 Virgin America’s April 29 expansion at Dallas Love Field (DAL) will be in addition to the four daily round-trips to New York LaGuardia Airport (LGA) that it will begin operating from Love Field on October 28. The carrier will begin operating three daily round-trips per destination from DAL to Washington Reagan National Airport (DCA), San Francisco International Airport and Los Angeles International Airport (LAX) on October 13. Virgin America’s new flights from April 29 will take its schedule to 16 departures a day from Love Field. According to Virgin America, it will be the only carrier at Dallas Love Field to offer three classes of service. These will include a First Class cabin and Main Cabin Select premium economy service as well as Main Cabin economy seating. Tickets are available for sale at www.virginamerica.com. “Dallas is a major economic hub and a growing city where we have seen our upscale, premium product resonate with local guests and businesses alike since we started flying there in December 2010,” says John MacLeod, Virgin America’s senior vice president of planning and sales. 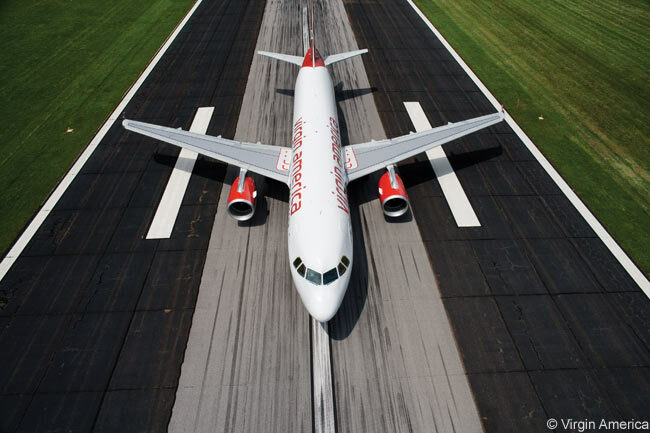 The schedule for the extra round-trip that Virgin America will operate on the Dallas Love Field-Washington Reagan National route from April 29 calls for its additional flight to depart DAL at 11:30 a.m. daily and to reach DCA at 3:00 p.m. local time. In the other direction, the extra flight will leave DCA at 4:00 p.m. daily and land at DAL at 6:30 p.m. local time. Virgin America’s schedule for its extra Dallas-Los Angeles flight calls for the flight to push back from the gate at DAL at 7:15 p.m. daily and touch down at LAX at 8:35 p.m. local time. In the other direction, the extra flight will vacate the gate at LAX at 8:45 a.m. daily and get to DAL at 1:45 p.m. local time. The carrier’s schedule for its additional Dallas-San Francisco flight will see the aircraft begin taxiing at DAL at 6:00 p.m. daily, in order to make an arrival at SFO at 7:50 p.m local time. In the other direction, Virgin America’s extra flight will depart SFO at 9:50 a.m. daily and reach DAL at 3:10 p.m. local time.